Customer has access to data through cloud. Communication between Blueye®’s hardware and units happens through RS485 Modbus RTU or Ethernet TCP/IP. 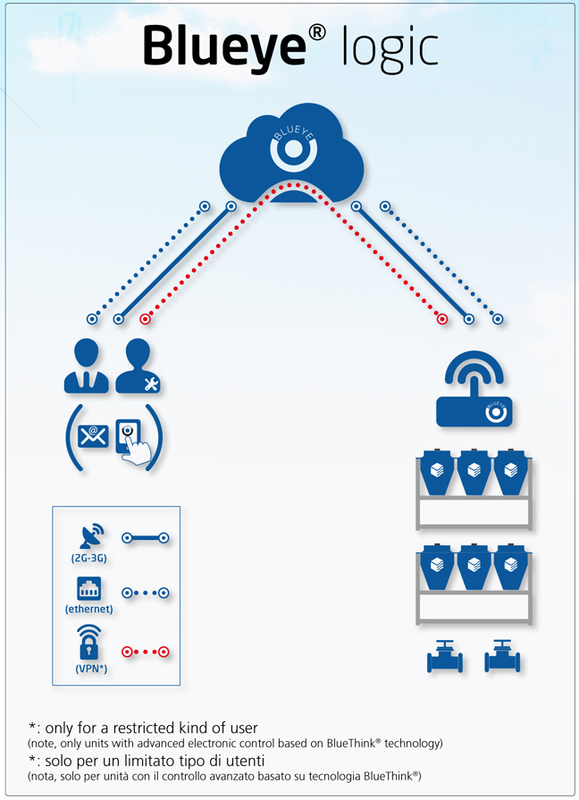 Communication between Blueye®’s hardware and cloud happens through a 2G/3G network (data sim not supplied) or the Web (Ethernet TCP/IP). Full configurable information to the user, like alarms, warnings, reports. App on Android and iOS available on Google Play and AppStore.